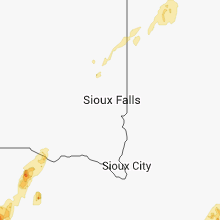 The Nunda, SD area has had 2 reports of on-the-ground hail by trained spotters, and has been under severe weather warnings 4 times during the past 12 months. Doppler radar has detected hail at or near Nunda, SD on 32 occasions, including 1 occasion during the past year. 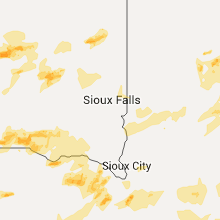 7/12/2018 4:57 PM CDT At 457 pm cdt, a severe thunderstorm was located near wentworth, or 10 miles east of madison, moving east at 25 mph (radar indicated). Hazards include 60 mph wind gusts and quarter size hail. Hail damage to vehicles is expected. expect wind damage to roofs, siding, and trees. 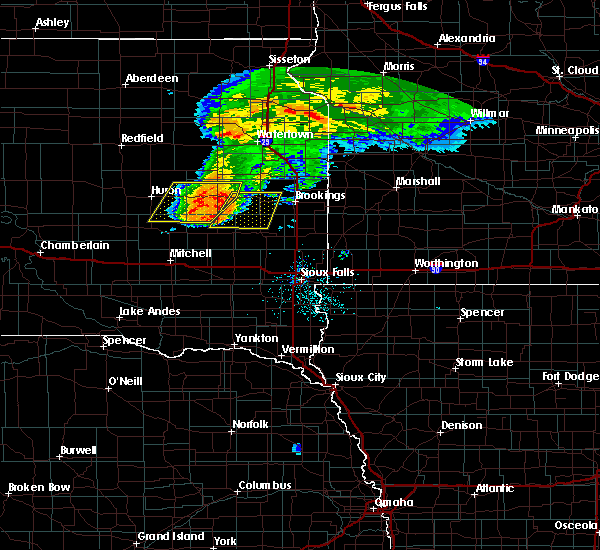 this severe storm will be near, colman around 510 pm cdt. 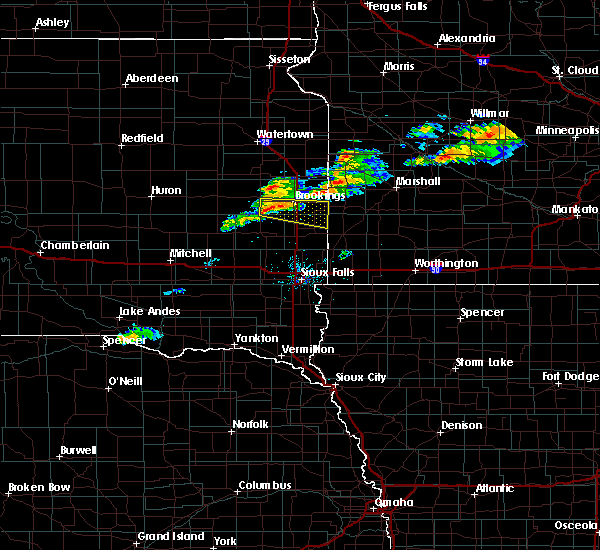 Flandreau and egan around 530 pm cdt. 7/12/2018 4:38 PM CDT At 437 pm cdt, a severe thunderstorm was located near madison, moving east at 20 mph (radar indicated). Hazards include 60 mph wind gusts and quarter size hail. Hail damage to vehicles is expected. expect wind damage to roofs, siding, and trees. this severe thunderstorm will be near, nunda around 445 pm cdt. wentworth around 450 pm cdt. colman around 515 pm cdt. 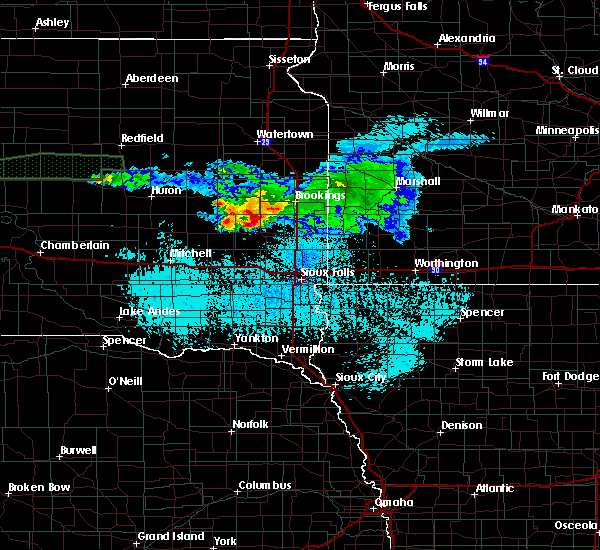 Flandreau and egan around 530 pm cdt. 7/12/2018 4:20 PM CDT At 420 pm cdt, a severe thunderstorm was located over ramona, or 8 miles north of lake herman state park, moving northeast at 15 mph (radar indicated). Hazards include 60 mph wind gusts and quarter size hail. Hail damage to vehicles is expected. expect wind damage to roofs, siding, and trees. This severe storm will be near, sinai and nunda around 445 pm cdt. 7/12/2018 4:03 PM CDT At 403 pm cdt, a severe thunderstorm was located near winfred, or 9 miles northwest of lake herman state park, moving northeast at 15 mph (radar indicated). Hazards include 60 mph wind gusts and quarter size hail. Hail damage to vehicles is expected. expect wind damage to roofs, siding, and trees. this severe thunderstorm will be near, ramona around 425 pm cdt. Sinai and nunda around 445 pm cdt. 4/13/2018 1:18 PM CDT At 118 pm cdt, a severe thunderstorm was located near ramona, or 10 miles northwest of lake herman state park, moving northeast at 35 mph (radar indicated). Hazards include 60 mph wind gusts and quarter size hail. Hail damage to vehicles is expected. expect wind damage to roofs, siding, and trees. this severe thunderstorm will be near, oldham around 130 pm cdt. sinai around 140 pm cdt. hetland around 145 pm cdt. arlington around 150 pm cdt. Volga around 155 pm cdt. 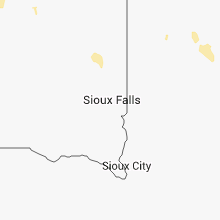 9/23/2017 2:00 PM CDT At 200 pm cdt, a severe thunderstorm was located near nunda, or 12 miles southwest of brookings, moving northeast at 30 mph (public. 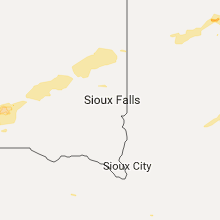 at 148 pm cdt, golf ball size hail was reported south southwest of nunda). Hazards include golf ball size hail. People and animals outdoors will be injured. expect damage to roofs, siding, windows, and vehicles. 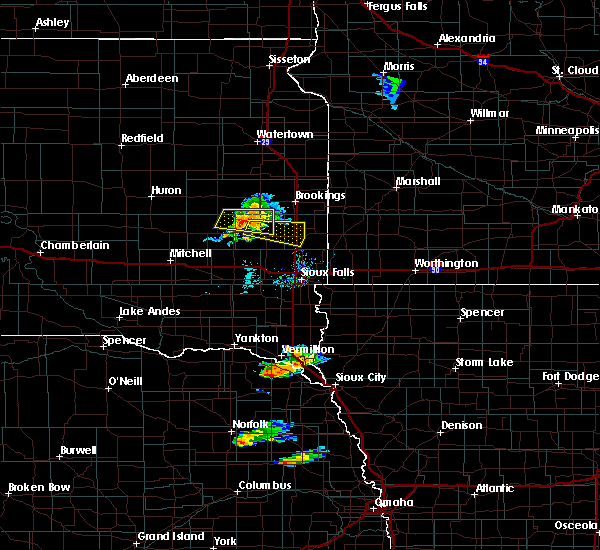 This severe storm will be near, brookings around 225 pm cdt. 9/23/2017 1:45 PM CDT At 144 pm cdt, a severe thunderstorm was located near madison, moving northeast at 30 mph (radar indicated). Hazards include half dollar size hail. Damage to vehicles is expected. this severe thunderstorm will be near, nunda around 200 pm cdt. 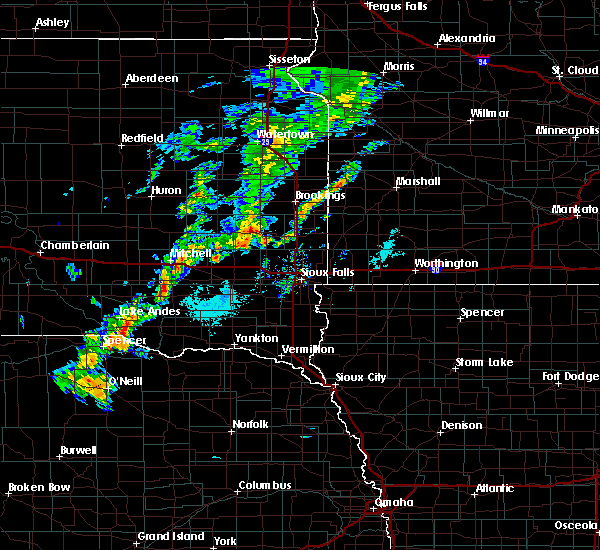 Brookings around 225 pm cdt. 9/23/2017 1:34 PM CDT At 133 pm cdt, a severe thunderstorm was located near madison, moving northeast at 35 mph (radar indicated). Hazards include quarter size hail. Damage to vehicles is expected. This severe storm will be near, nunda around 145 pm cdt. 9/23/2017 1:16 PM CDT At 115 pm cdt, a severe thunderstorm was located near lake herman state park, moving northeast at 35 mph (radar indicated). Hazards include half dollar size hail. Damage to vehicles is expected. this severe thunderstorm will be near, lake herman state park around 120 pm cdt. madison around 130 pm cdt. Nunda around 145 pm cdt. 9/23/2017 12:58 PM CDT At 1258 pm cdt, a severe thunderstorm was located over nunda, or 11 miles north of madison, moving northeast at 40 mph (radar indicated). Hazards include half dollar size hail. Damage to vehicles is expected. This severe thunderstorm will remain over mainly rural areas of northwestern moody, southeastern kingsbury, northern lake and southwestern brookings counties. 9/23/2017 12:41 PM CDT At 1240 pm cdt, a severe thunderstorm was located near lake herman state park, moving northeast at 45 mph (radar indicated). Hazards include half dollar size hail. Damage to vehicles is expected. this severe thunderstorm will be near, ramona around 1245 pm cdt. nunda around 100 pm cdt. Sinai around 105 pm cdt. 9/19/2017 11:20 PM CDT At 1119 pm cdt, a severe thunderstorm was located over colton, or 16 miles northeast of lake vermillion state recreation area, moving east at 55 mph (radar indicated). Hazards include 70 mph wind gusts. Expect considerable tree damage. damage is likely to mobile homes, roofs, and outbuildings. 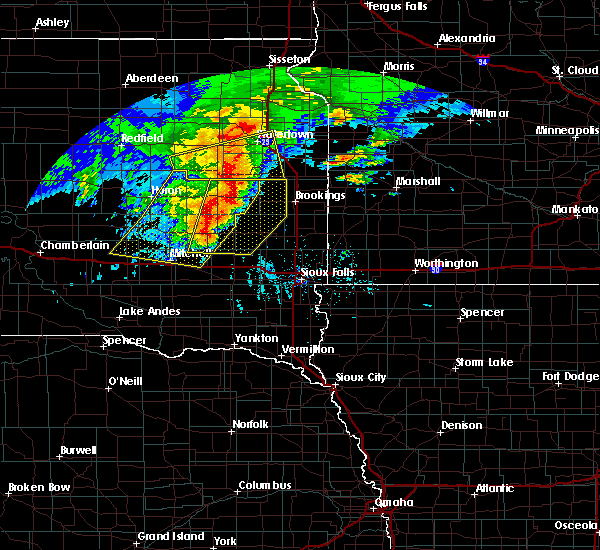 this severe storm will be near, dell rapids and baltic around 1130 pm cdt. trent around 1140 pm cdt. 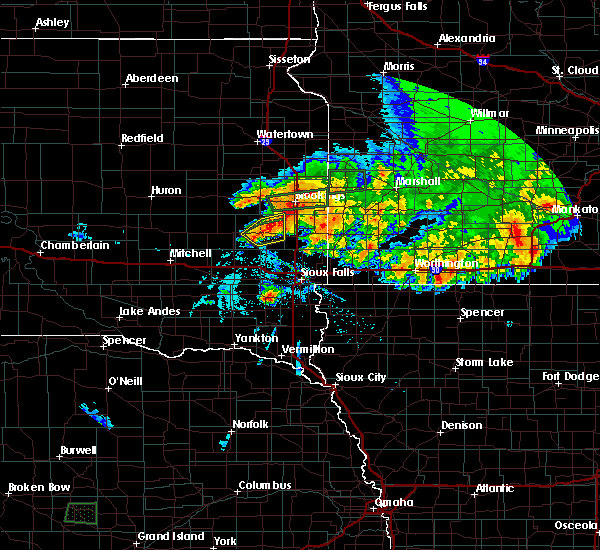 sherman around 1145 pm cdt. jasper around 1150 pm cdt. 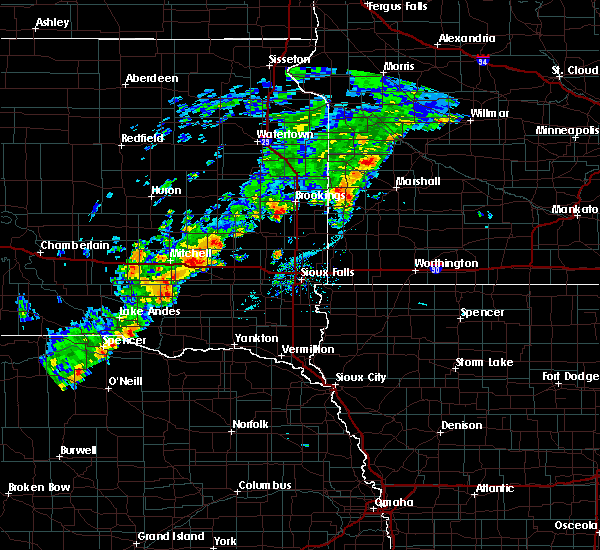 pipestone, trosky and pipestone national monument around 1200 am cdt. other locations impacted by this severe thunderstorm include ihlen. 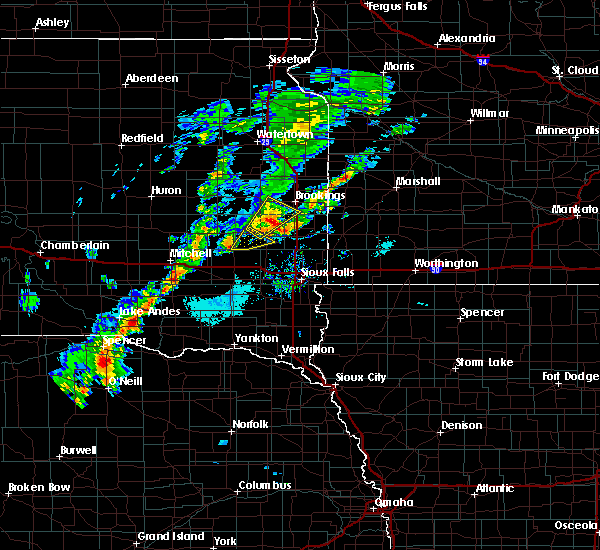 A tornado watch remains in effect until midnight cdt for east central south dakota. 9/19/2017 11:08 PM CDT At 1107 pm cdt, a severe thunderstorm was located over montrose, or near lake vermillion state recreation area, moving east at 55 mph (radar indicated). Hazards include 70 mph wind gusts. Expect considerable tree damage. damage is likely to mobile homes, roofs, and outbuildings. this severe thunderstorm will be near, hartford around 1115 pm cdt. 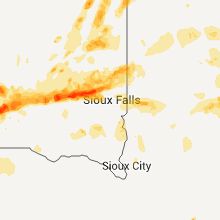 colton around 1120 pm cdt. crooks around 1125 pm cdt. 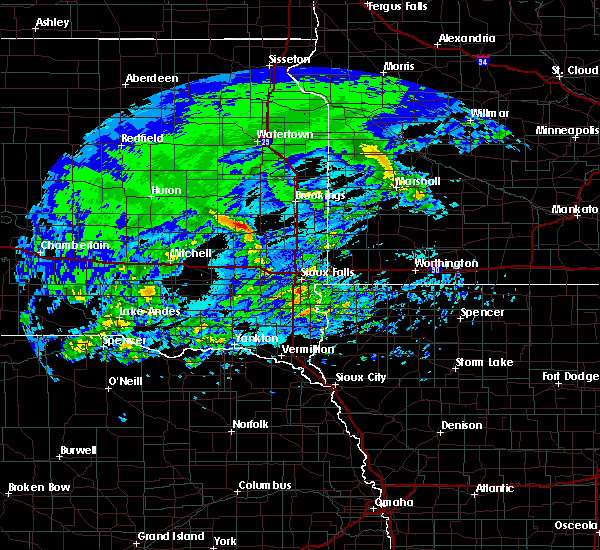 baltic around 1130 pm cdt. dell rapids around 1135 pm cdt. trent around 1140 pm cdt. 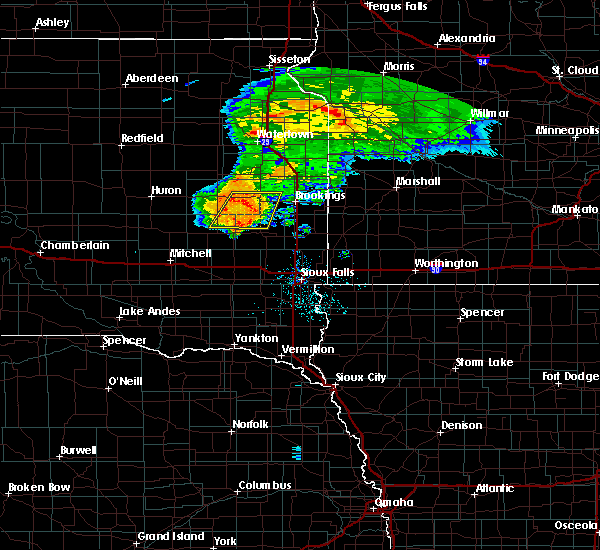 sherman around 1145 pm cdt. jasper around 1150 pm cdt. other locations impacted by this severe thunderstorm include ihlen. 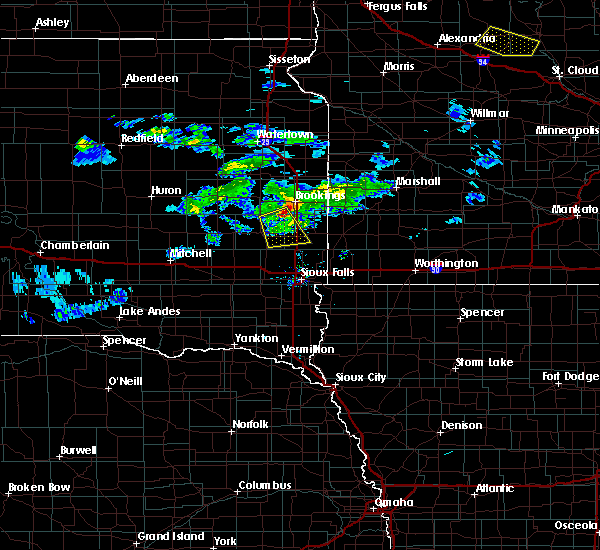 A tornado watch remains in effect until midnight cdt for southeastern and east central south dakota. 8/25/2017 7:14 PM CDT At 713 pm cdt, a severe thunderstorm was located near vilas, or 19 miles south of lake thompson state recreation area, moving east at 45 mph (radar indicated). Hazards include 70 mph wind gusts and quarter size hail. Hail damage to vehicles is expected. expect considerable tree damage. wind damage is also likely to mobile homes, roofs, and outbuildings. this severe storm will be near, howard around 718 pm cdt. winfred around 730 pm cdt. ramona around 740 pm cdt. Madison and lake herman state park around 745 pm cdt. 8/25/2017 7:00 PM CDT At 700 pm cdt, a severe thunderstorm was located near carthage, or 19 miles southwest of lake thompson state recreation area, moving east at 55 mph (radar indicated). Hazards include 70 mph wind gusts and quarter size hail. Hail damage to vehicles is expected. expect considerable tree damage. wind damage is also likely to mobile homes, roofs, and outbuildings. this severe thunderstorm will be near, howard around 710 pm cdt. oldham around 725 pm cdt. ramona around 730 pm cdt. Sinai and nunda around 740 pm cdt. 7/19/2017 12:35 PM CDT At 1235 pm cdt, a severe thunderstorm was located near nunda, or 12 miles north of madison, moving east at 45 mph (radar indicated). Hazards include 60 mph wind gusts and penny size hail. Expect damage to roofs, siding, and trees. This severe storm will be near, nunda around 1240 pm cdt. 7/19/2017 12:18 PM CDT At 1218 pm cdt, a severe thunderstorm was located near oldham, or near lake thompson state recreation area, moving east at 50 mph (radar indicated). Hazards include 70 mph wind gusts and nickel size hail. Expect considerable tree damage. damage is likely to mobile homes, roofs, and outbuildings. this severe thunderstorm will be near, oldham around 1225 pm cdt. ramona around 1230 pm cdt. sinai around 1240 pm cdt. Nunda around 1245 pm cdt. 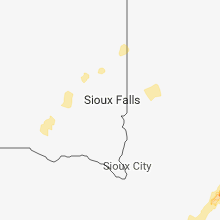 7/17/2017 9:08 PM CDT At 908 pm cdt, a severe thunderstorm was located over sinai, or 13 miles west of brookings, moving east at 40 mph. a well defined outflow boundary may produce significant dust ahead of this storm (trained weather spotters). Hazards include 60 mph wind gusts. Expect damage to roofs, siding, and trees. 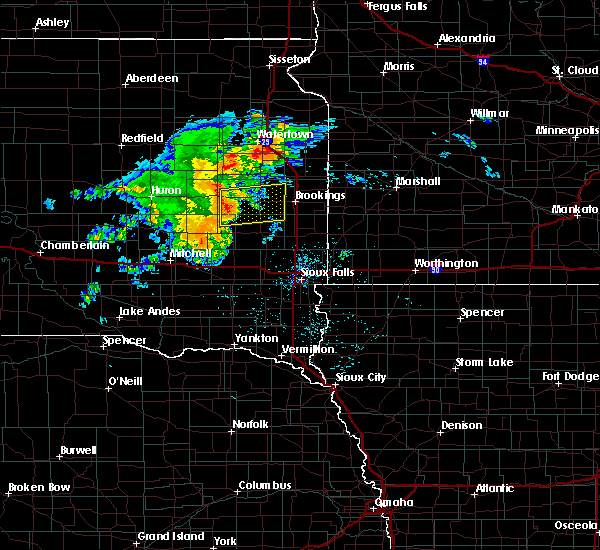 this severe storm will be near, volga around 915 pm cdt. 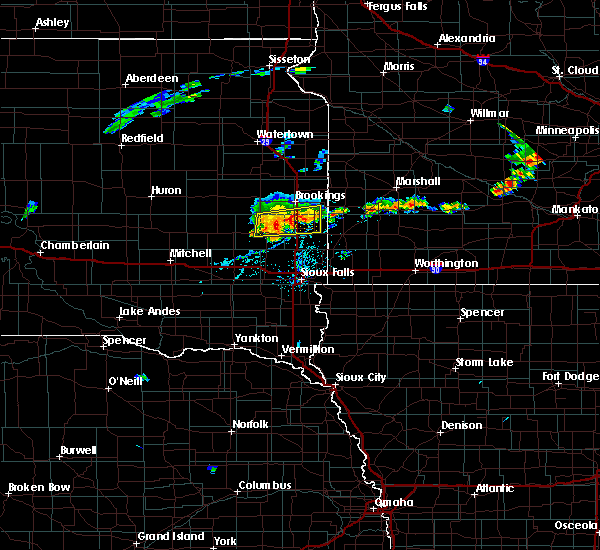 Brookings around 925 pm cdt. 7/17/2017 8:40 PM CDT At 840 pm cdt, a severe thunderstorm was located over lake thompson state recreation area, moving east at 40 mph (trained weather spotters). Hazards include 70 mph wind gusts. Expect considerable tree damage. damage is likely to mobile homes, roofs, and outbuildings. this severe thunderstorm will be near, oldham and hetland around 850 pm cdt. arlington around 900 pm cdt. sinai around 910 pm cdt. volga and nunda around 915 pm cdt. 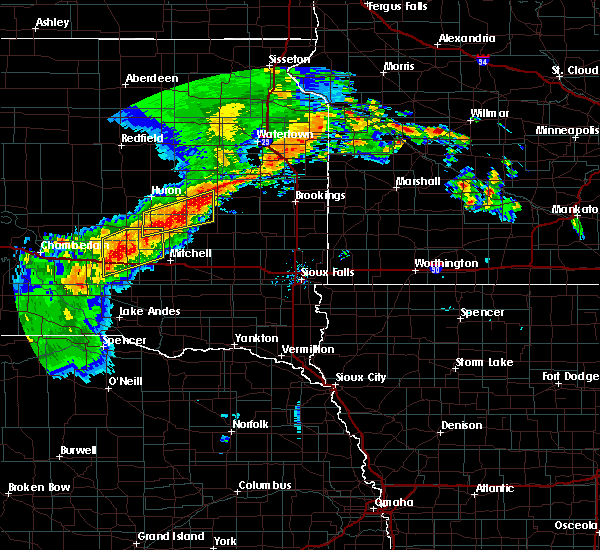 Brookings around 925 pm cdt. 6/12/2017 10:02 AM CDT At 1002 am cdt, a severe thunderstorm was located near wentworth, or near madison, moving northeast at 10 mph (radar indicated). Hazards include quarter size hail. Damage to vehicles is expected. This severe thunderstorm will be near, nunda around 1020 am cdt. 6/11/2017 5:57 AM CDT At 556 am cdt, severe thunderstorms were located along a line extending from near astoria to near elkton to near colton, moving east at 50 mph (radar indicated). Hazards include 60 mph wind gusts and half dollar size hail. Hail damage to vehicles is expected. expect wind damage to roofs, siding, and trees. 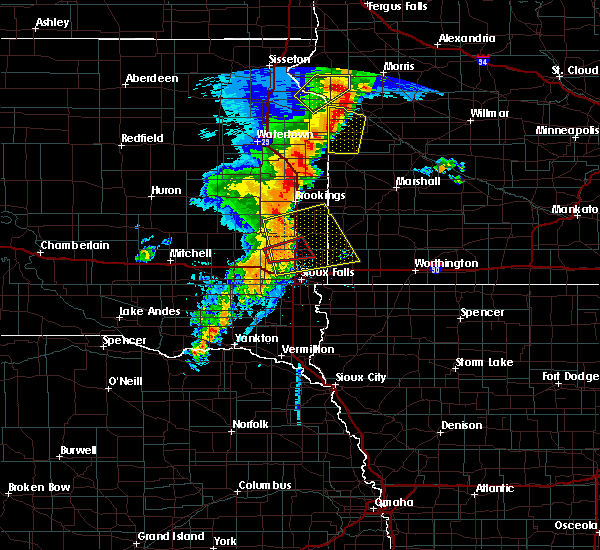 these severe storms will be near, elkton around 600 am cdt. hendricks and ward around 605 am cdt. trent around 610 am cdt. lake benton and ivanhoe around 615 am cdt. 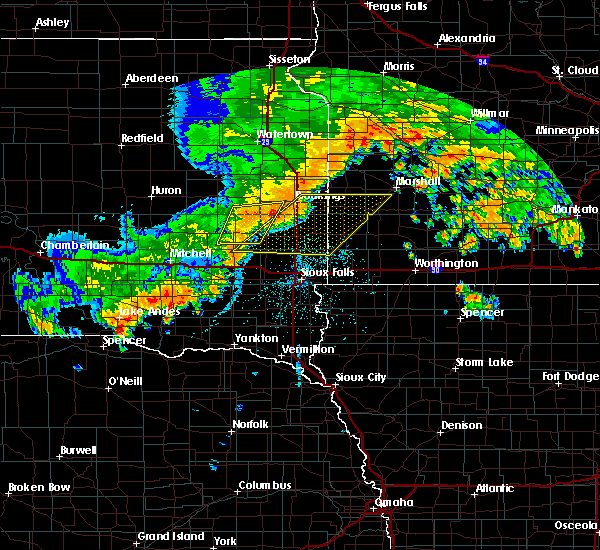 Other locations impacted by these severe thunderstorms include bushnell. 6/11/2017 5:48 AM CDT At 548 am cdt, severe thunderstorms were located along a line extending from near toronto to near aurora to 6 miles northwest of colton, moving east at 50 mph (radar indicated). Hazards include 60 mph wind gusts and half dollar size hail. Hail damage to vehicles is expected. expect wind damage to roofs, siding, and trees. 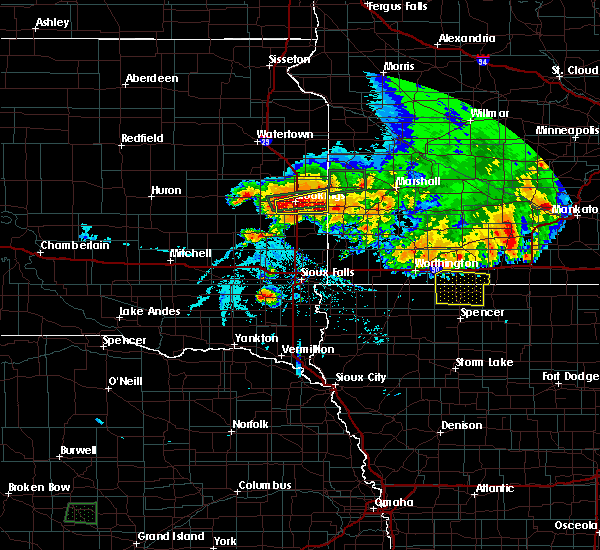 these severe storms will be near, white around 555 am cdt. 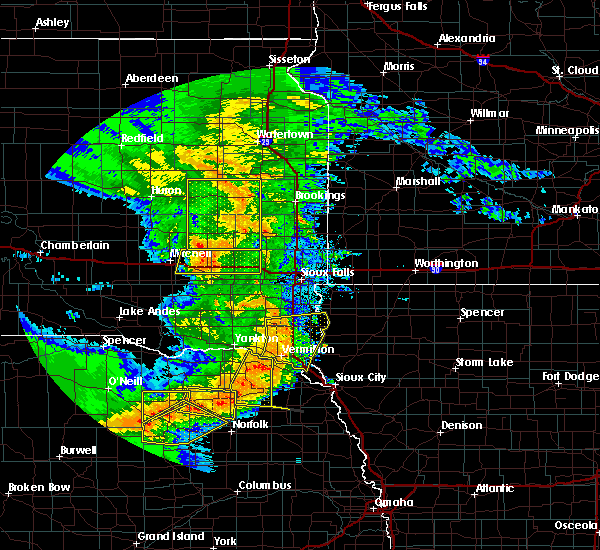 elkton and ward around 600 am cdt. hendricks around 605 am cdt. ivanhoe and trent around 610 am cdt. lake benton around 615 am cdt. Other locations impacted by these severe thunderstorms include bushnell. 6/11/2017 5:38 AM CDT At 537 am cdt, severe thunderstorms were located along a line extending from near estelline to 7 miles east of nunda to near orland, moving east at 50 mph (radar indicated). Hazards include ping pong ball size hail and 60 mph wind gusts. People and animals outdoors will be injured. expect hail damage to roofs, siding, windows, and vehicles. expect wind damage to roofs, siding, and trees. 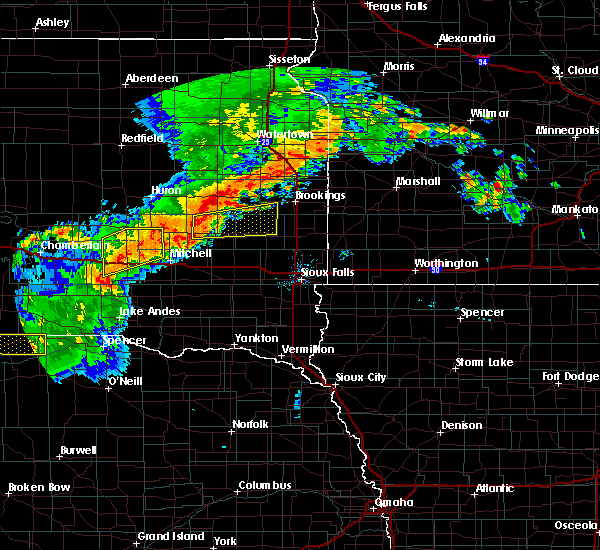 severe thunderstorms will be near, brookings around 545 am cdt. aurora and white around 550 am cdt. chester around 555 am cdt. 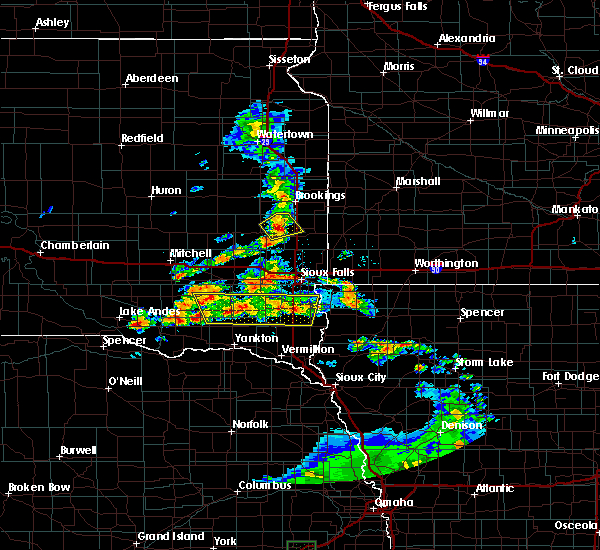 elkton, hendricks and ward around 600 am cdt. lake benton, ivanhoe and trent around 610 am cdt. 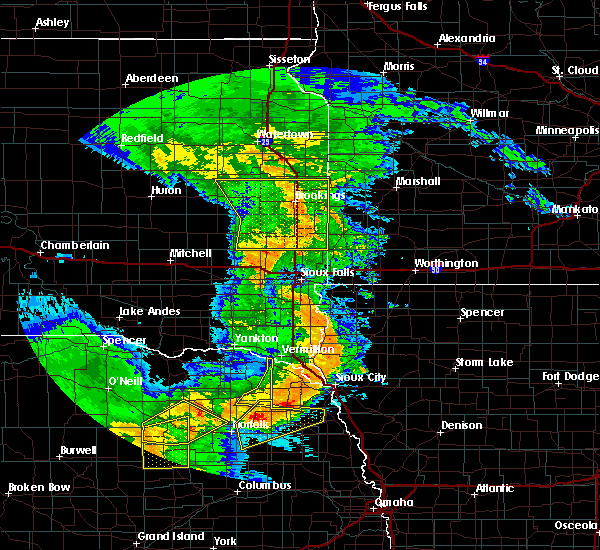 Other locations impacted by these severe thunderstorms include bushnell. 6/11/2017 5:28 AM CDT At 527 am cdt, severe thunderstorms were located along a line extending from lake poinsett to near nunda to 7 miles west of orland, moving east at 45 mph (radar indicated). Hazards include ping pong ball size hail and 60 mph wind gusts. People and animals outdoors will be injured. expect hail damage to roofs, siding, windows, and vehicles. expect wind damage to roofs, siding, and trees. these severe storms will be near, sinai, nunda and oakwood state park around 535 am cdt. Lake herman state park and bruce around 540 am cdt. 6/11/2017 5:12 AM CDT At 512 am cdt, severe thunderstorms were located along a line extending from 6 miles southeast of bryant to near oldham to near canova, moving east at 45 mph (radar indicated). Hazards include ping pong ball size hail and 60 mph wind gusts. People and animals outdoors will be injured. expect hail damage to roofs, siding, windows, and vehicles. expect wind damage to roofs, siding, and trees. these severe storms will be near, oldham around 515 am cdt. ramona and badger around 520 am cdt. 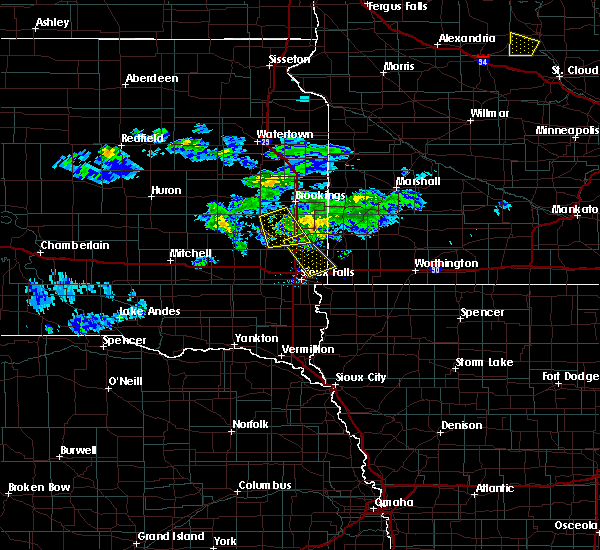 winfred around 525 am cdt. sinai around 530 am cdt. nunda and oakwood state park around 535 am cdt. lake herman state park, bruce and orland around 540 am cdt. Other locations impacted by these severe thunderstorms include erwin. 6/11/2017 5:04 AM CDT The national weather service in sioux falls has issued a * severe thunderstorm warning for. 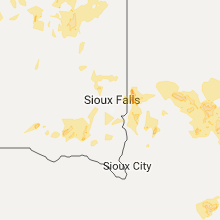 northwestern moody county in east central south dakota. 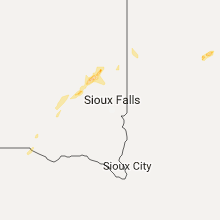 kingsbury county in east central south dakota. lake county in east central south dakota. 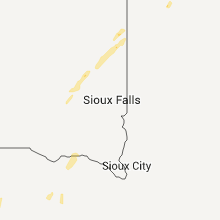 Miner county in east central south dakota. 5/28/2017 6:55 PM CDT The severe thunderstorm warning for western moody, eastern lake and south central brookings counties will expire at 700 pm cdt, the storm which prompted the warning has moved out of the area. therefore the warning will be allowed to expire. 5/28/2017 6:40 PM CDT At 639 pm cdt, a severe thunderstorm was located near nunda, or 10 miles northeast of madison, moving southeast at 50 mph (radar indicated). Hazards include 60 mph wind gusts. Expect damage to roofs, siding, and trees. this severe storm will be near, colman and wentworth around 650 pm cdt. Chester around 655 pm cdt. 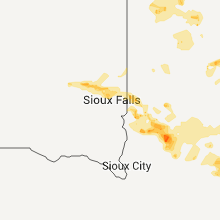 5/28/2017 6:22 PM CDT At 622 pm cdt, a severe thunderstorm was located near arlington, or 14 miles west of brookings, moving southeast at 50 mph (radar indicated). Hazards include 60 mph wind gusts. Expect damage to roofs, siding, and trees. this severe thunderstorm will be near, nunda around 635 pm cdt. colman and wentworth around 650 pm cdt. Chester around 655 pm cdt. 8/11/2016 1:58 AM CDT The severe thunderstorm warning for southern lincoln, pipestone, southwestern lyon, northwestern rock, northern minnehaha, moody, northeastern mccook, southeastern brookings and southeastern lake counties will expire at 200 am cdt, the storms which prompted the warning have weakened below severe limits, and no longer pose an immediate threat to life or property. therefore, the warning will be allowed to expire. 8/11/2016 1:43 AM CDT At 142 am cdt, severe thunderstorms were located along a line extending from 7 miles northwest of lake benton to chester, moving east at 50 mph (radar indicated). Hazards include 60 mph wind gusts. Expect damage to roofs. siding. and trees. 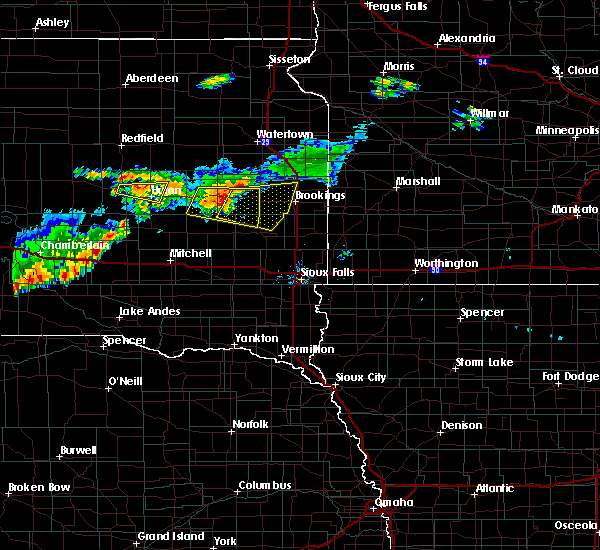 these severe storms will be near, lake benton around 145 am cdt. 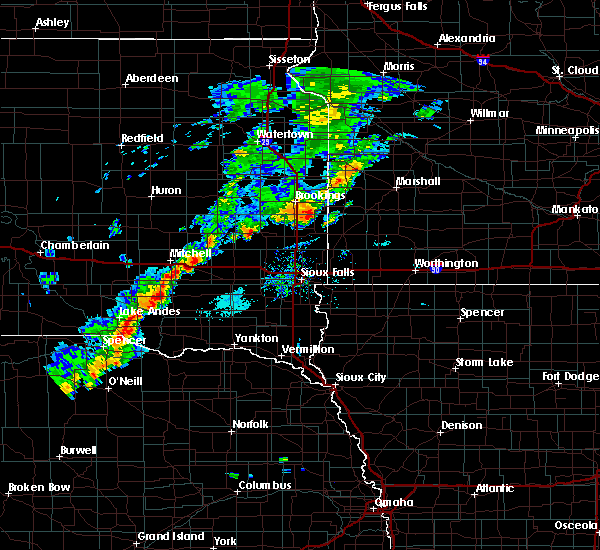 dell rapids and arco around 150 am cdt. tyler, egan and trent around 155 am cdt. jasper, russell and camden state park around 200 am cdt. 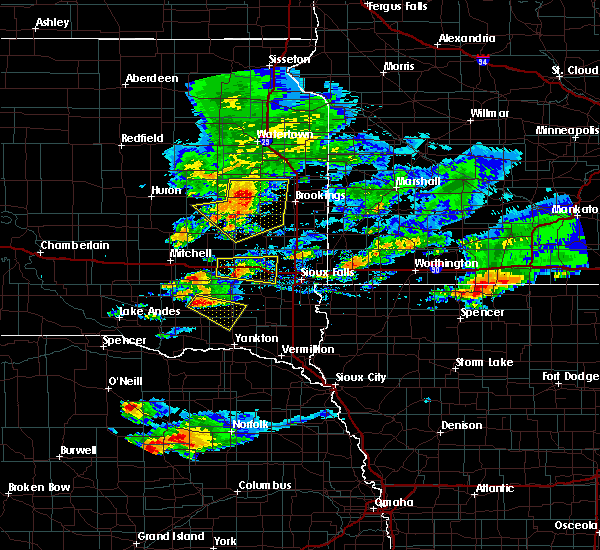 Other locations impacted by these severe thunderstorms include ihlen, lynd and bushnell. 8/11/2016 1:28 AM CDT The severe thunderstorm warning for eastern miner, southwestern brookings, western lake and southeastern kingsbury counties will expire at 130 am cdt, the storms which prompted the warning have moved out of the area. therefore, the warning will be allowed to expire. 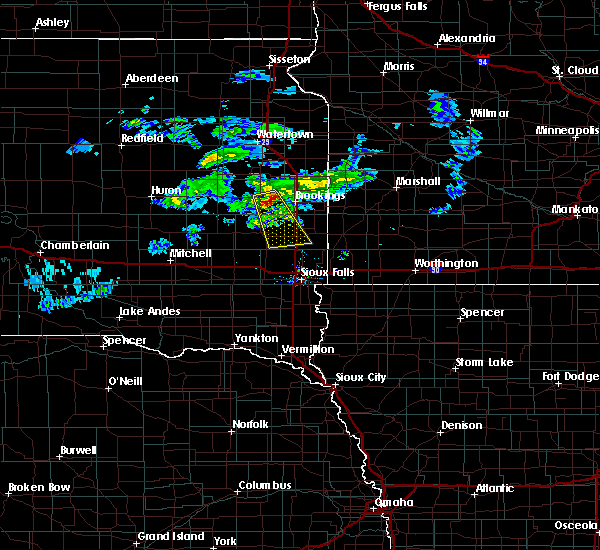 a severe thunderstorm watch remains in effect until 200 am cdt for east central south dakota. 8/11/2016 1:26 AM CDT At 126 am cdt, severe thunderstorms were located along a line extending from near aurora to near orland, moving east at 70 mph (radar indicated). Hazards include 60 mph wind gusts. Expect damage to roofs. siding. and trees. 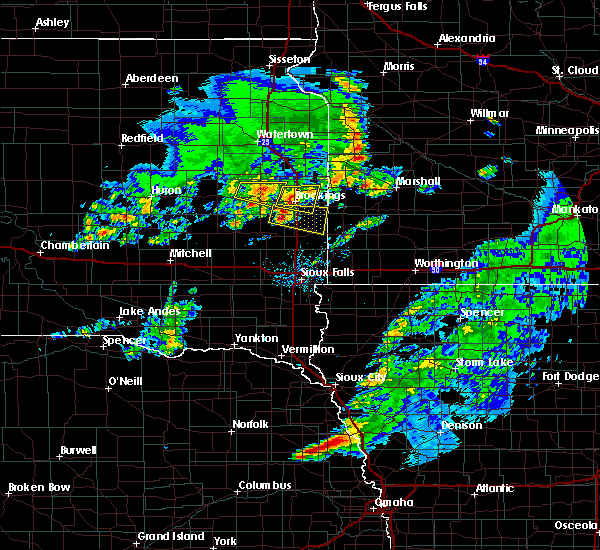 severe thunderstorms will be near, aurora around 130 am cdt. elkton around 135 am cdt. wentworth and chester around 140 am cdt. 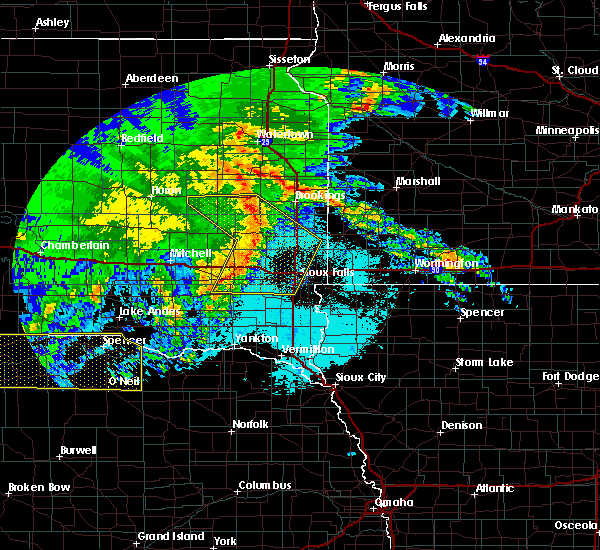 lake benton and colman around 145 am cdt. 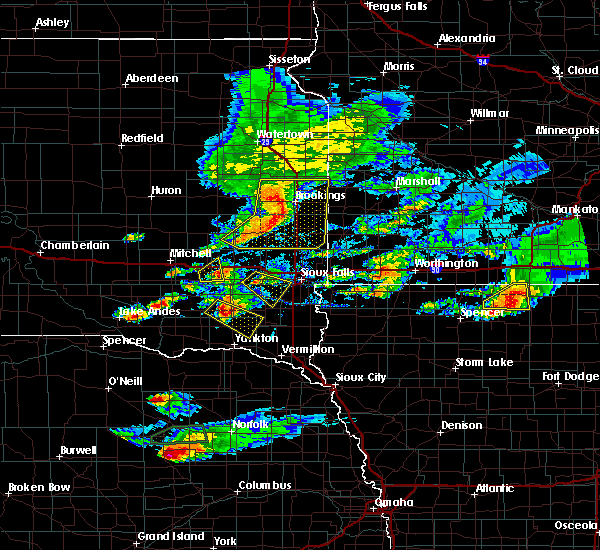 dell rapids, tyler and arco around 150 am cdt. egan, trent and florence around 155 am cdt. jasper, russell and camden state park around 200 am cdt. 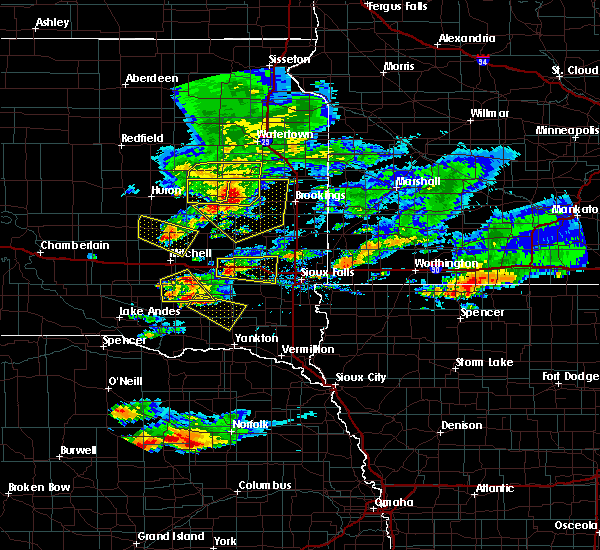 Other locations impacted by these severe thunderstorms include ihlen, lynd and bushnell. 8/11/2016 1:14 AM CDT At 114 am cdt, severe thunderstorms were located along a line extending from near sinai to near winfred, moving east at 45 mph (radar indicated). Hazards include 60 mph wind gusts. Expect damage to roofs. siding. and trees. these severe storms will be near, sinai around 120 am cdt. 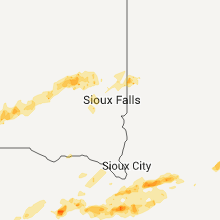 nunda around 125 am cdt. 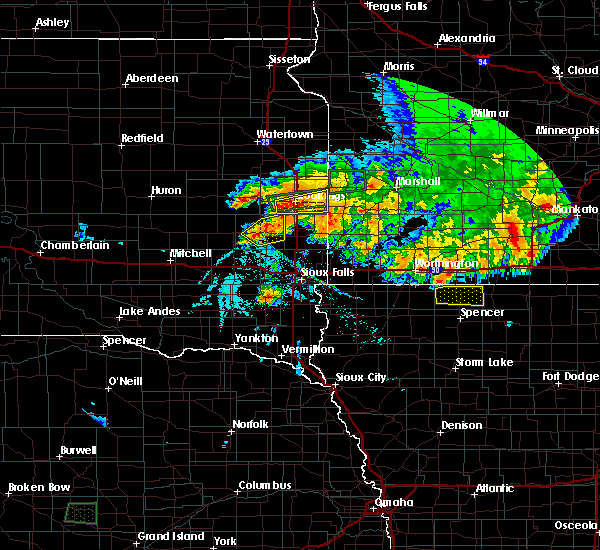 Madison and volga around 130 am cdt. 8/11/2016 12:53 AM CDT At 1253 am cdt, severe thunderstorms were located along a line extending from 7 miles south of lake thompson state recreation area to near vilas, moving east at 55 mph (radar indicated). Hazards include 60 mph wind gusts. Expect damage to roofs. siding. and trees. severe thunderstorms will be near, winfred and oldham around 105 am cdt. ramona and sinai around 115 am cdt. madison and lake herman state park around 120 am cdt. volga around 125 am cdt. 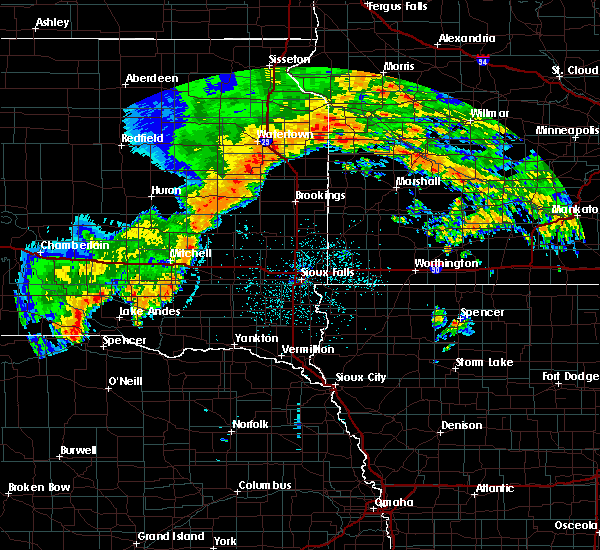 Nunda around 130 am cdt. 8/4/2016 4:13 AM CDT At 413 am cdt, a severe thunderstorm was located over oldham, or near lake thompson state recreation area, moving east at 55 mph (radar indicated). Hazards include 70 mph wind gusts. Expect considerable tree damage. damage is likely to mobile homes, roofs, and outbuildings. this severe thunderstorm will be near, sinai and nunda around 430 am cdt. Volga around 440 am cdt. 7/6/2016 11:09 PM CDT The severe thunderstorm warning for moody, brookings, lake and eastern kingsbury counties will expire at 1115 pm cdt, the storms which prompted the warning have weakened below severe limits, and no longer pose an immediate threat to life or property. therefore, the warning will be allowed to expire. however gusty winds of 40 to 50 mph are still possible with these thunderstorms. a severe thunderstorm watch remains in effect until 200 am cdt for southwestern minnesota, and east central south dakota. 7/6/2016 10:39 PM CDT At 1038 pm cdt, severe thunderstorms were located along a line extending from 6 miles south of bryant to near ramona to 6 miles east of canova, moving east at 45 mph (radar indicated). Hazards include 60 mph wind gusts. Expect damage to roofs. siding. and trees. severe thunderstorms will be near, ramona around 1045 pm cdt. sinai and orland around 1050 pm cdt. badger and nunda around 1055 pm cdt. 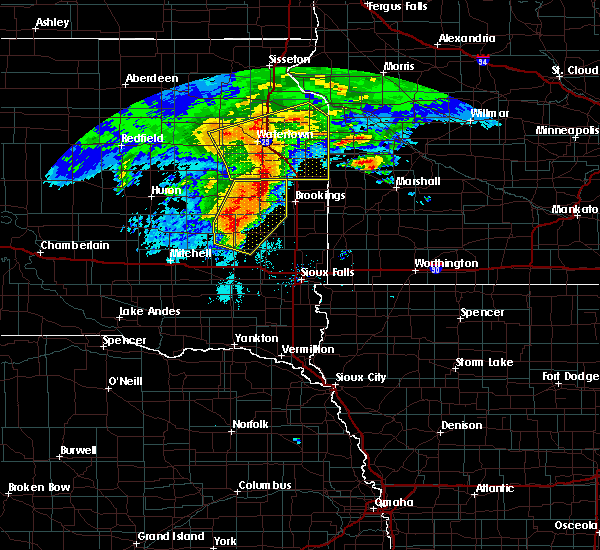 brookings and wentworth around 1105 pm cdt. chester and oakwood state park around 1110 pm cdt. 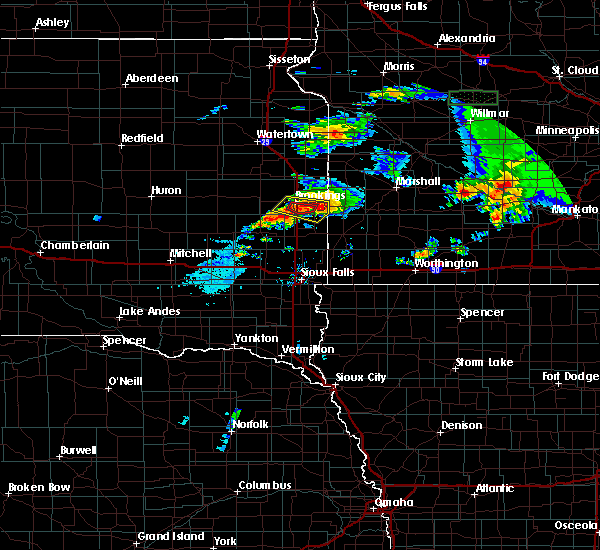 colman, aurora and bruce around 1115 pm cdt. other locations impacted by these severe thunderstorms include erwin and bushnell. This warning replaces the previous warning for kingsbury and miner counties. 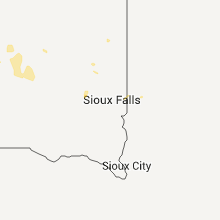 6/19/2016 9:52 PM CDT At 952 pm cdt, a severe thunderstorm was located 7 miles east of nunda, or 9 miles southwest of brookings, moving east at 45 mph (radar indicated). Hazards include 60 mph wind gusts and half dollar size hail. Hail damage to vehicles is expected. expect wind damage to roofs, siding, and trees. 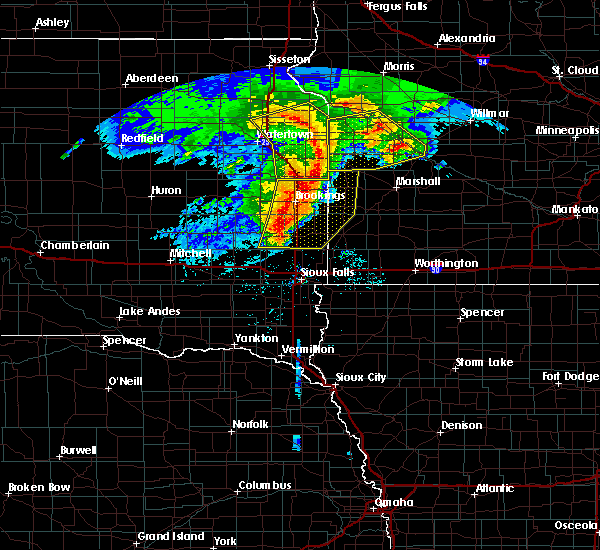 this severe storm will be near, brookings around 955 pm cdt. Ward around 1015 pm cdt. 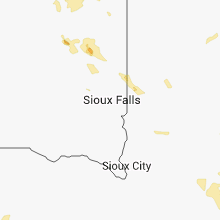 6/19/2016 9:39 PM CDT At 938 pm cdt, a severe thunderstorm was located over sinai, or 11 miles southwest of brookings, moving east at 45 mph (radar indicated). Hazards include 60 mph wind gusts and half dollar size hail. Hail damage to vehicles is expected. expect wind damage to roofs, siding, and trees. 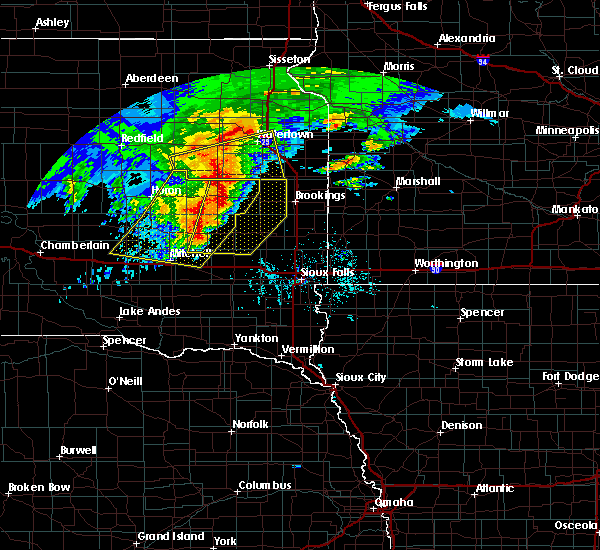 this severe thunderstorm will be near, brookings around 950 pm cdt. aurora around 955 pm cdt. elkton around 1010 pm cdt. ward around 1015 pm cdt. Other locations impacted by this severe thunderstorm include bushnell. 6/17/2016 7:20 PM CDT At 719 pm cdt, a severe thunderstorm was located over madison, moving northeast at 20 mph (radar indicated. at 717 pm cdt...1 inch hail was reported in madison). Hazards include quarter size hail. Damage to vehicles is expected. this severe storm will be near, wentworth around 735 pm cdt. Nunda around 745 pm cdt. 6/17/2016 7:14 PM CDT At 714 pm cdt, a severe thunderstorm was located over lake herman state park, moving northeast at 15 mph (radar indicated). Hazards include quarter size hail. Damage to vehicles is expected. this severe storm will be near, madison around 730 pm cdt. Wentworth around 745 pm cdt. 6/17/2016 7:01 PM CDT At 701 pm cdt, a severe thunderstorm was located over orland, or near lake herman state park, moving northeast at 20 mph (radar indicated). Hazards include half dollar size hail. Damage to vehicles is expected. this severe thunderstorm will be near, lake herman state park around 715 pm cdt. madison around 725 pm cdt. 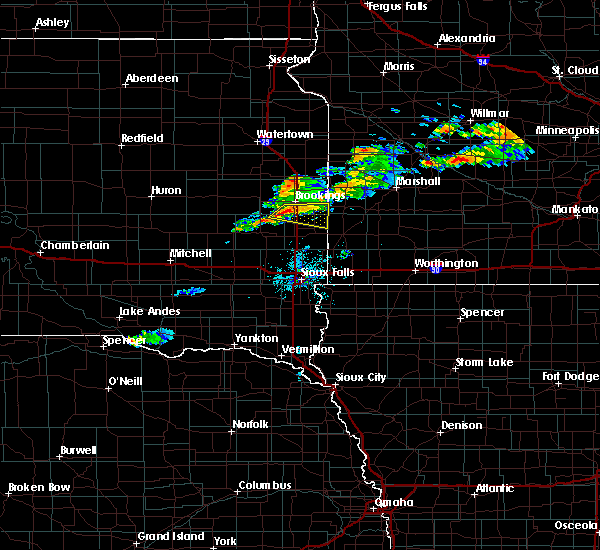 wentworth around 735 pm cdt. Nunda around 745 pm cdt. 6/3/2016 5:14 PM CDT Quarter sized hail reported 5.5 miles W of Nunda, SD, marble to quarter size hail. 6/3/2016 5:10 PM CDT At 509 pm cdt, a severe thunderstorm was located near volga, or 8 miles southwest of brookings, moving east at 30 mph (radar indicated). Hazards include 60 mph wind gusts and quarter size hail. Hail damage to vehicles is expected. expect wind damage to roofs, siding, and trees. 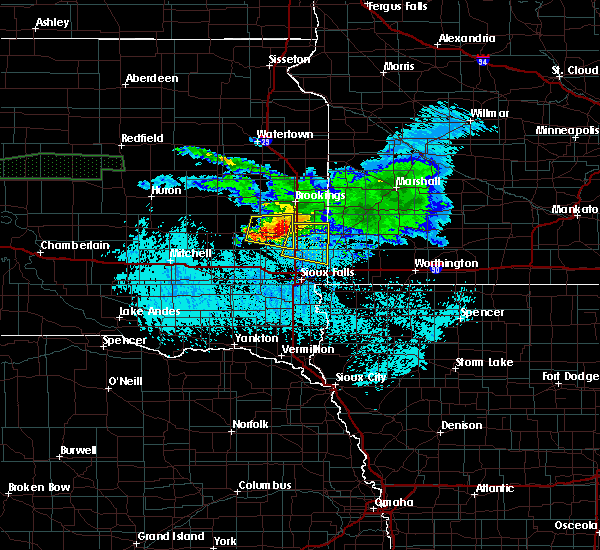 this severe thunderstorm will be near, brookings around 515 pm cdt. Flandreau and elkton around 545 pm cdt. 8/9/2015 6:45 PM CDT At 645 pm cdt, severe thunderstorms were located along a line extending from near estelline to 6 miles east of nunda to 6 miles west of orland, moving southeast at 35 mph (radar indicated). Hazards include 60 mph wind gusts and nickel size hail. Expect damage to roofs. siding and trees. 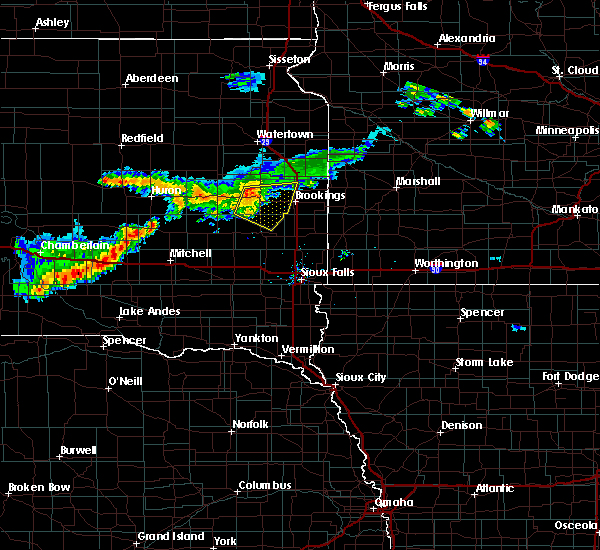 these severe storms will be near, flandreau, colman, white and egan around 700 pm cdt. 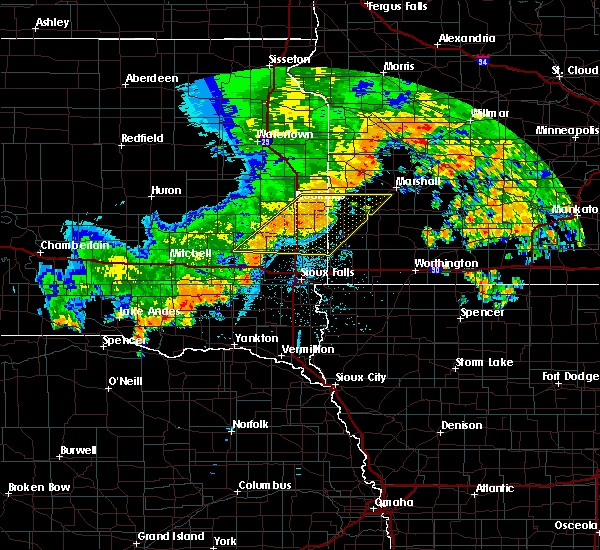 Other locations impacted by these severe thunderstorms include bushnell. 8/9/2015 6:26 PM CDT At 625 pm cdt, severe thunderstorms were located along a line extending from near lake poinsett to near nunda to near winfred, moving southeast at 40 mph (radar indicated). Hazards include 60 mph wind gusts and half dollar size hail. Hail damage to vehicles is expected. expect wind damage to roofs, siding and trees. severe thunderstorms will be near, sinai around 630 pm cdt. 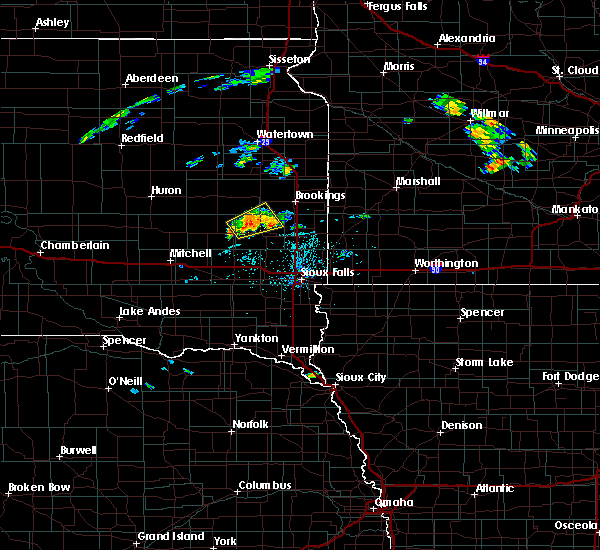 madison, nunda and oakwood state park around 635 pm cdt. lake herman state park and bruce around 640 pm cdt. 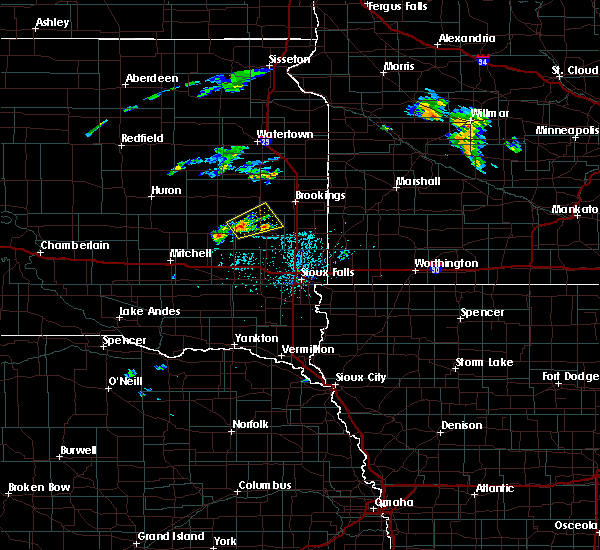 volga, wentworth and orland around 645 pm cdt. brookings, colman and white around 655 pm cdt. 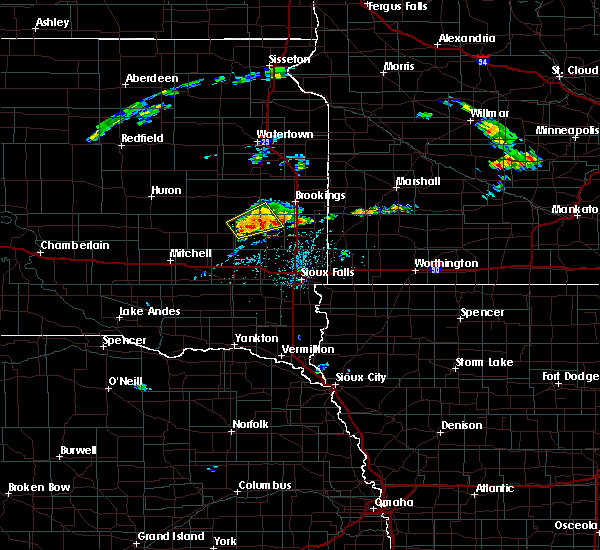 flandreau, aurora, egan, trent and chester around 700 pm cdt. Other locations impacted by these severe thunderstorms include bushnell. 8/9/2015 6:20 PM CDT At 619 pm cdt, severe thunderstorms were located along a line extending from near badger to near oldham to 6 miles north of howard, moving southeast at 40 mph (radar indicated). Hazards include 60 mph wind gusts and quarter size hail. Hail damage to vehicles is expected. expect wind damage to roofs, siding and trees. these severe storms will be near, ramona around 625 pm cdt. volga, sinai, nunda and oakwood state park around 630 pm cdt. Other locations impacted by these severe thunderstorms include erwin. 8/9/2015 6:05 PM CDT At 605 pm cdt, severe thunderstorms were located along a line extending from 6 miles west of badger to near lake thompson state recreation area to near carthage, moving southeast at 40 mph (radar indicated). Hazards include 60 mph wind gusts and half dollar size hail. Hail damage to vehicles is expected. expect wind damage to roofs, siding and trees. severe thunderstorms will be near, oldham and badger around 615 pm cdt. hetland around 620 pm cdt. arlington and ramona around 625 pm cdt. winfred, sinai, nunda and oakwood state park around 630 pm cdt. Other locations impacted by these severe thunderstorms include erwin. 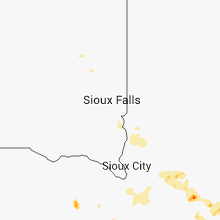 8/6/2015 7:22 PM CDT At 722 pm cdt, a severe thunderstorm was located over nunda, or 10 miles northeast of madison, moving southeast at 30 mph (radar indicated). Hazards include 60 mph wind gusts and quarter size hail. Hail damage to vehicles is expected. expect wind damage to roofs, siding and trees. 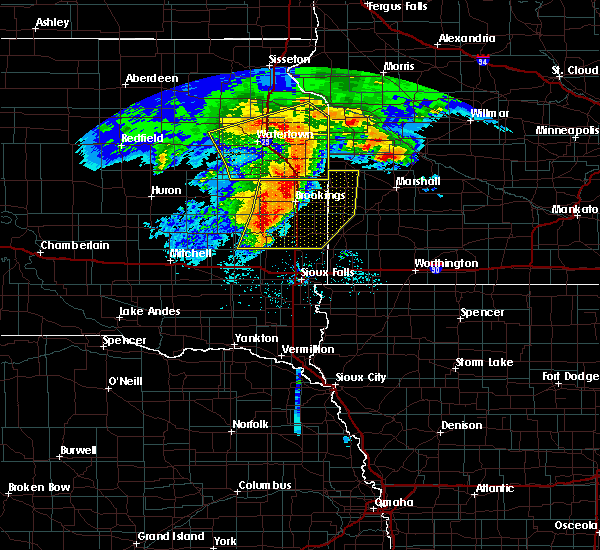 this severe thunderstorm will be near, colman around 750 pm cdt. 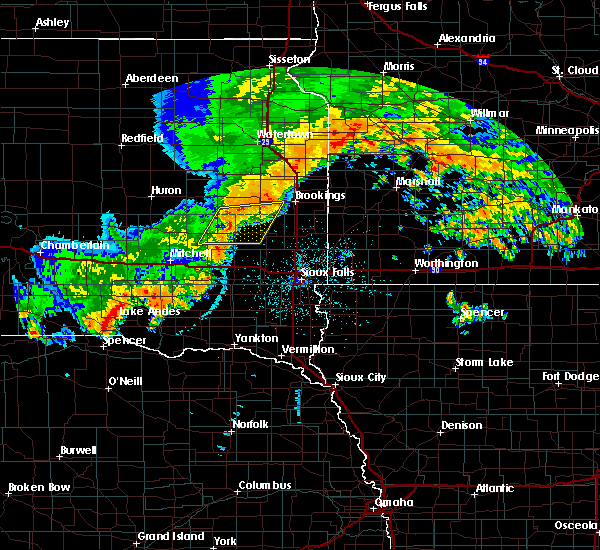 Flandreau and egan around 800 pm cdt. 7/16/2015 7:30 PM CDT At 730 pm cdt, a severe thunderstorm was located near nunda, or 7 miles north of madison, moving east at 40 mph (radar indicated). Hazards include 60 mph wind gusts and nickel size hail. Expect damage to roofs. siding and trees. This severe thunderstorm will remain over mainly rural areas of northern lake county. 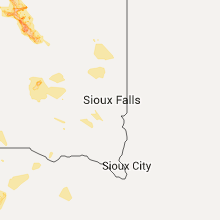 7/16/2015 7:11 PM CDT At 711 pm cdt, a severe thunderstorm was located near ramona, or 11 miles northwest of lake herman state park, moving east at 40 mph (radar indicated). Hazards include 60 mph wind gusts and nickel size hail. Expect damage to roofs. siding and trees. this severe storm will be near, ramona around 715 pm cdt. Madison and nunda around 730 pm cdt. 7/16/2015 6:58 PM CDT At 658 pm cdt, a severe thunderstorm was located 9 miles southwest of oldham, or 10 miles south of lake thompson state recreation area, moving east at 40 mph (radar indicated). Hazards include 60 mph wind gusts and nickel size hail. Expect damage to roofs. siding and trees. this severe thunderstorm will be near, oldham around 710 pm cdt. ramona around 720 pm cdt. sinai around 730 pm cdt. Nunda around 735 pm cdt. 6/19/2015 6:11 PM CDT The severe thunderstorm warning for western moody and lake counties will expire at 615 pm cdt, the storm which prompted the warning has moved out of the area. therefore the warning will be allowed to expire. 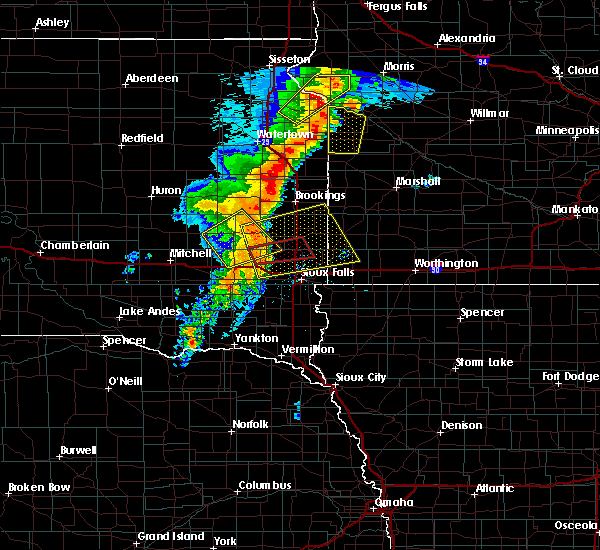 another severe thunderstorm warning is in effect for all of moody county and northeast minnehaha until 645 pm cdt. 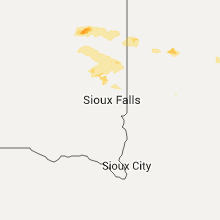 6/19/2015 5:48 PM CDT At 547 pm cdt, a severe thunderstorm was located near wentworth, or near madison, moving southeast at 30 mph (radar indicated). Hazards include 70 mph wind gusts and half dollar size hail. Hail damage to vehicles is expected. expect considerable tree damage. wind damage is also likely to mobile homes, roofs and outbuildings. this severe storm will be near, colman and chester around 605 pm cdt. At 547 pm cdt, 64 mph winds were reported in madison. 6/19/2015 5:36 PM CDT At 536 pm cdt, a severe thunderstorm was located over madison, moving southeast at 30 mph (radar indicated). Hazards include 60 mph wind gusts and half dollar size hail. Hail damage to vehicles is expected. expect wind damage to roofs, siding and trees. this severe thunderstorm will be near, wentworth around 550 pm cdt. Colman and chester around 605 pm cdt.